Rangers have released another statement today and this time they've hit back at Raith Rovers. Yesterday Rovers released a statement regarding Rangers recalling Ryan Hardie from international duty. Rangers insisted "Neither Rangers nor David Weir acted wrongly in requesting the return from Under-19 Scotland duty of Ryan Hardie ahead of tomorrow’s Ladbrokes Championship match against Raith Rovers. This was done with the approval of the SFA, within the rules and in the full knowledge that Raith Rovers would be offered the same opportunity to bring Craig Wighton, their loan player from Dundee, home." Questions need to be asked of Raith Rovers and their Chief Executive Eric Drysdale on why this was even brought up or published. Many have suggested that the real issue is that they couldn't afford to fly Wighton back from Bulgaria where as we can and have done so. 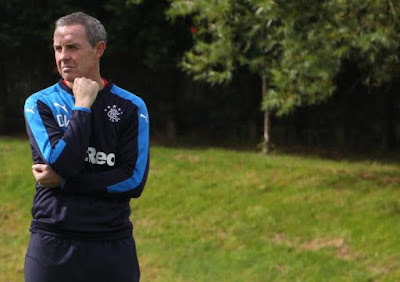 I can't wait to see the apology for Davie Weir!